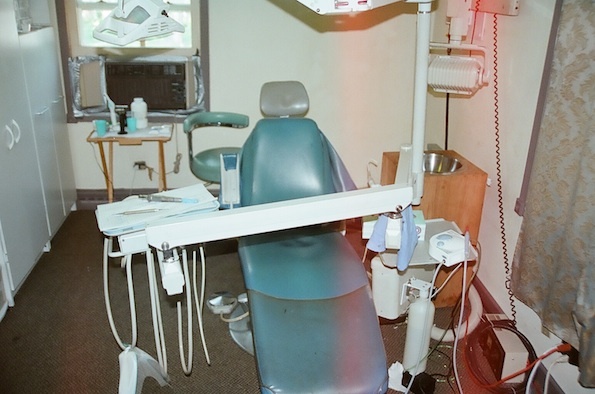 The Cook County Sheriff’s Special Operations Unit took a man into custody Thursday, August 30, 2012 for impersonating a dentist and performing various types of dental procedures on hundreds of patients for the last year in Melrose Park. Upon receiving a tip from a confidential informant, the Special Operations Unit began their investigation and learned that the ‘dentist’ was operating a ‘dental practice’ out of a home located at 2057 N. Emerson Street in unincorporated Cook County. An undercover officer set up an appointment with the dentist through his receptionist, though due to his packed schedule, had to wait a week to be seen. While the undercover officer was in the home on Aug. 30 waiting for her appointment, a patient walked out who was stopped by police approximately a mile away and learned that he had a root canal procedure completed. Upon gaining entry into the home, Cook County Sheriff’s Police found a dental chair, lights, plates, tools, syringes, an x-ray machine and much more. It was concluded that he was performing all sorts of dental procedures such as root canals, bite impressions, cleanings, x-rays, surgical dental procedures and even braces. 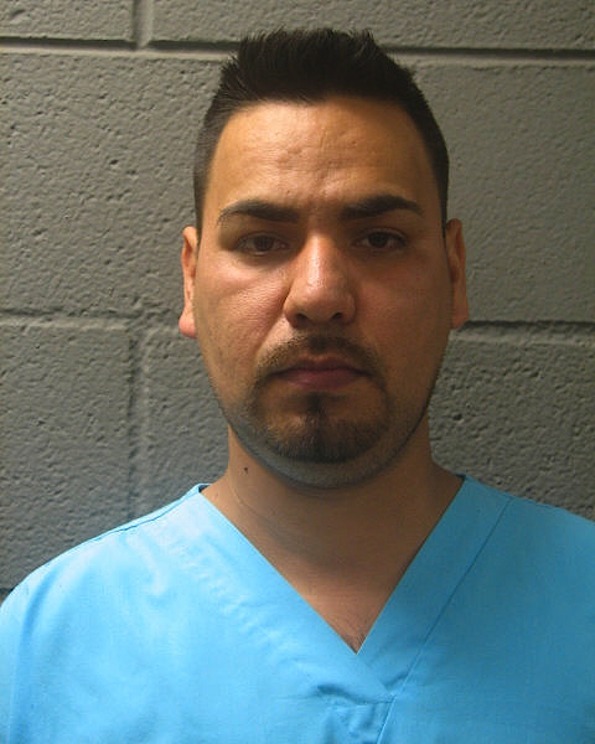 Alberto Nunez, residing at the 7800 of S. Kenton Avenue in Chicago, is being charged with a Class 4 Felony for practicing dentistry without a license and a misdemeanor charge for unlawful possession of hypodermic syringes. He told officers that he went to dental school in Mexico City, but he could not provide documentation that he completed the program. Based on statements made by Nunez, it is believed he has been “in practice” for approximately two years, had another location before this current one, and saw roughly 30 patients each week. Nunez appeared in bond court this morning and was issued a $10,000 i-bond. His next court date is scheduled for September 6 at Maywood Courthouse. 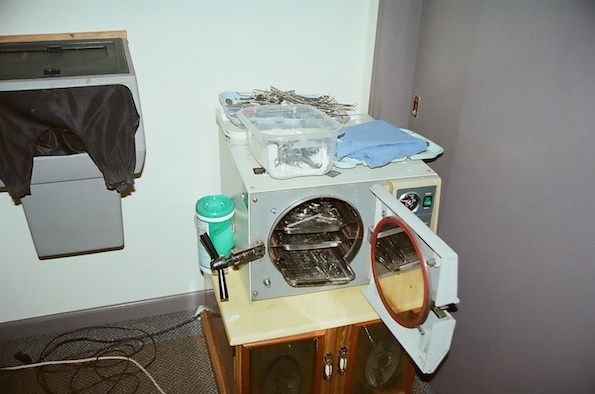 Autoclave and dental instruments (police photo). 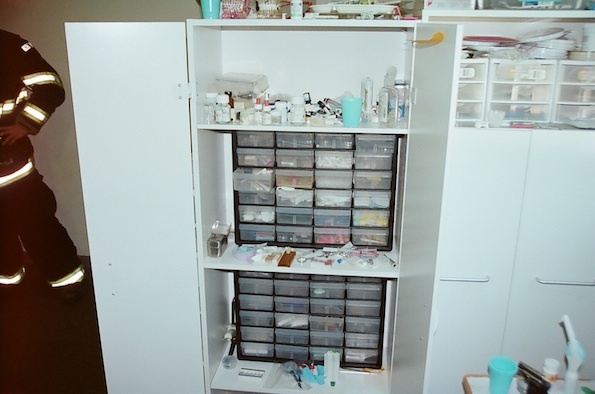 Medications and needles in cabinet (police photo). ← Ask Paul B: Romantic Success!! !